Redesigning a website can be a large undertaking. Depending on whether you do it yourself or hire someone else, it will require either a substantial amount of time or money. Consequently, most will delay redesigning their website much longer than they should. Your website is your primary marketing tool on the internet and is the method by which potential customers will form an opinion about your business. If your site is painfully slow to load or has poor functionality, your visitor will leave. A website redesign that improves visitor retention is worth the investment. 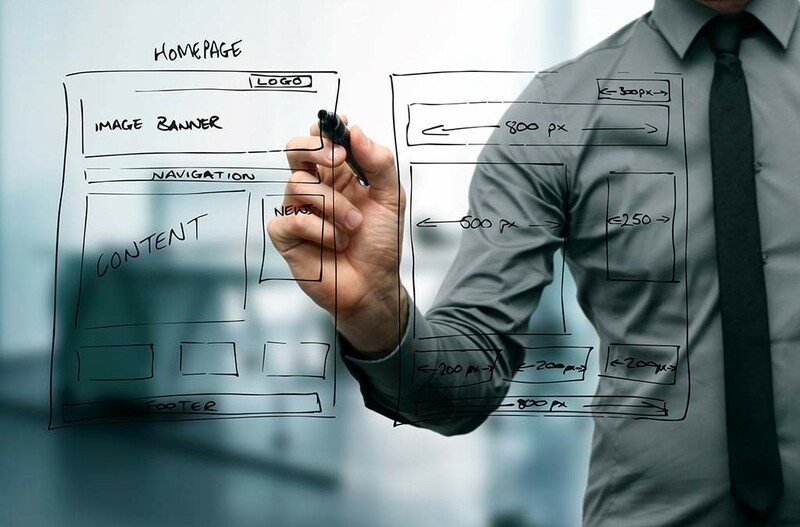 Below are five reasons to consider a website redesign. More and more people are accessing the web through mobile devices such as smart phones or tablets. Responsive design resizes the website to the appropriate size for viewing on the specific device on which it is displayed. If your website is not mobile device compatible, you’re missing out on leads from that segment of internet users. Integrating responsive design will allow you to reach a larger audience. In addition, mobile friendly sites receive higher page ranking in Google. There are a variety of reasons why a website may not be performing well. It may be cluttered, and visitors unable to find what they’re searching for. Links could be broken, or the site may be difficult to navigate, leaving your visitors frustrated. Perhaps you’ve completed A/B split testing and found that your click through rate is higher on a version of your site that is colored magenta and gray, as opposed to your current green and orange. It’s essential that your website is visually appealing, easy to navigate and fully functional. If any of these three criteria are deficient, a website redesign will improve its performance. Proper SEO is important to rank high in the search engines and generate traffic to your site. However, SEO is not a set and forget strategy. Google and other search engines frequently change the precedents by which they measure relevance and page rank. Even if your website has previously ranked high in the search engines, if you haven’t consistently maintained the content, your ranking has most likely suffered. Google values fresh content among other attributes. Redesigning your website to add fresh content and adapt to changes in search engine rankings will improve the volume of high quality traffic to your site and lead to increased revenue. Regardless of how much traffic a site receives, if it isn’t user friendly, it’s ineffective. Menus should be in plain sight, and buttons must work properly to ensure easy navigation. Apps often provide interaction with visitors and not only increase traffic but entice visitors to return. However, it’s important to verify that they function correctly. If you’re operating an ecommerce site, a functional shopping cart is a necessity. A periodic review of your website should be performed to ensure that it functions properly. It’s also important to consider if any of the features may be hindering the site’s performance. Some features may prevent it from loading or slow it down. A website redesign may be needed to improve functionality. Technology changes rapidly, and if you use widgets, analytics or other third party tools, it’s important to keep abreast of new developments. Older versions may no longer function correctly with browser updates. There may be a newer version, and an upgrade might be needed. If it’s been a while since you’ve revised your site, you may find newer technologies that perform better. Redesigning your website to include the latest technology will keep your site looking fresh and improve visitor retention. Join our mailing list to receive valuable marketing tips. Contact me for a free online marketing consultation and review of your website. © 2017 REZTECH MEDIA - All rights reserved.